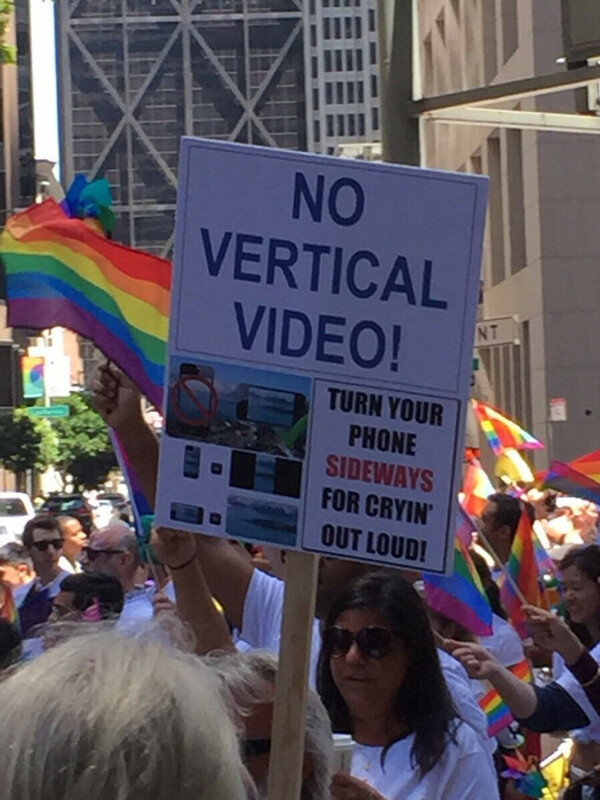 @cypnk Exceptions: Your subject really is vertical (I&apos;ve seen a really good use of vertical video at Circuit Spa-Francorchamps, actually), or you&apos;re doing narrow-bandwidth television (where the vertical layout ends up getting more detail in the extremely limited line count). @cypnk Vertical video is going to get some love as an aesthetic / valid artistic choice one day. In the meantime, I'm more likely to drop my phone if I hold it sideways, so baws to the video police.